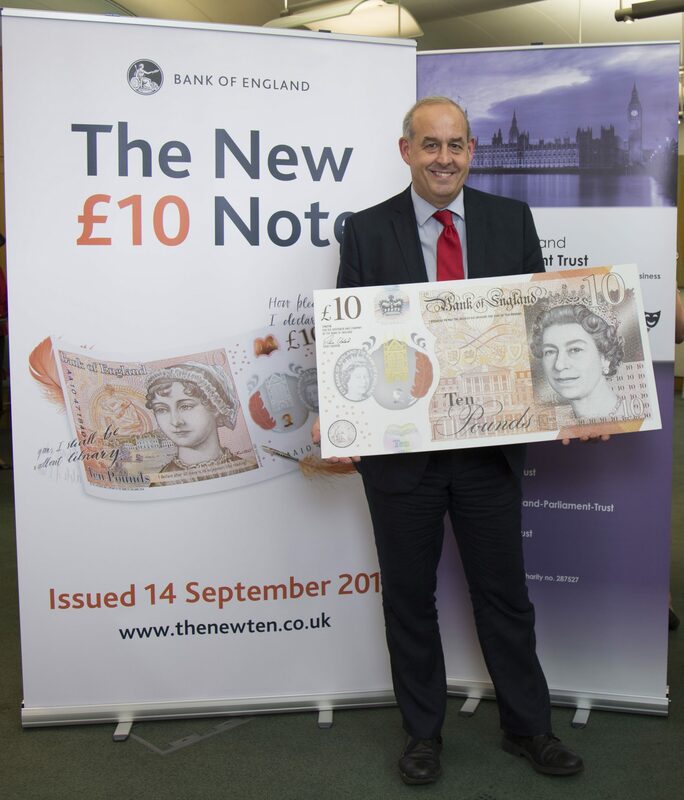 I joined the Bank of England’s Chief Cashier, Victoria Cleland, in Parliament on 19 July to find out more about the new £10 note featuring the world-renowned author Jane Austen. I tested the new tactile feature on the £10 note which helps blind and vision impaired users identify their value – a first for Bank of England banknotes. The tactile feature is a series of raised dots in the top left-hand corner and has been developed in conjunction with the Royal National Institute of Blind People (RNIB). This is in addition to the elements already incorporated in Bank of England banknotes for vision impaired people; the tiered sizing, bold numerals, raised print and differing colour palettes.